Vice-Minister of Environmental Protection Wu Xiaoqing has rebuked a majority of Chinese cities saying that only three of 74 in a nation-wide study met national air quality standards. Haikou, capital of southernmost Hainan Province, Zhoushan, an island city of east China’s Zhejiang Province, and Lhasa, capital of the Tibet Autonomous Region all had air quality which came under 100 in the AQI international measuring system. An air quality index above 100 is considered unhealthy to sensitive persons, or those with breathing problems, such as asthma. Going over an index of 300 is hazardous, says the World Health Organisation. Decades of breakneck economic growth, the coal-dominated energy mix and lax environmental law enforcement has poisoned much of the country’s air, water and soil. Air quality of the nation’s cities is of increasing concern to the new Chinese leadership as they stress on “sustainable growth”. China’s leadership has pledged to tackle air pollution using several different measures on the city, provincial and national level, such as slashing coal consumption, closing steel plants, restricting automobile usage and creating pilot carbon markets. On Saturday, Wu said that Chinese authorities have an action plan in place that will cut heavy industrial capacity and high coal consumption in and around Beijing, Hebei, Tianjin and the commercial hearts of Shanghai and Guangdong. “China’s central and western regions are rich in coal, and their environmental capacity is better than the Beijing-Hebei-Tianjin region, so we are encouraging them to develop coal-to-gas and to replace coal burning in eastern regions,” Wu told reporters on the sidelines of an annual parliamentary conference. “We also hope that these regions will also implement stricter environmental regulations,” he added. Meanwhile, Beijing announced plans last November to put in place an air quality warning system in the heavily-polluted cities of Beijing, Tianjin and surrounding areas. China’s Meteorological Administration and the Ministry of Environmental Protection jointly released the plan that puts the alert system at three levels – I being the highest and III the lowest. When the air quality index is set to go beyond 500, a level I warning will issued, and level II and III are for the index to be at between 300 to 500, 200 to 300, respectively, for three consecutive days. 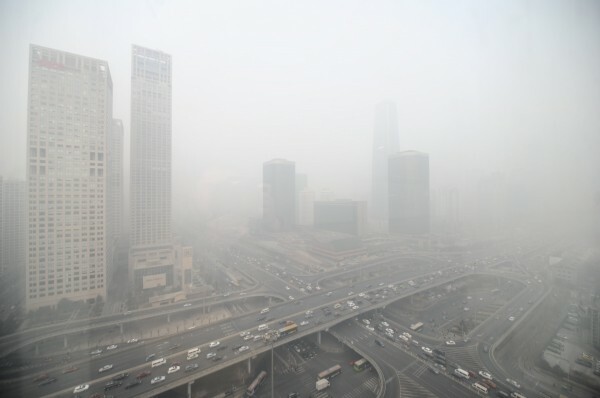 A month later, Beijing fined eight cities it said had failed to battle rampant air pollution.